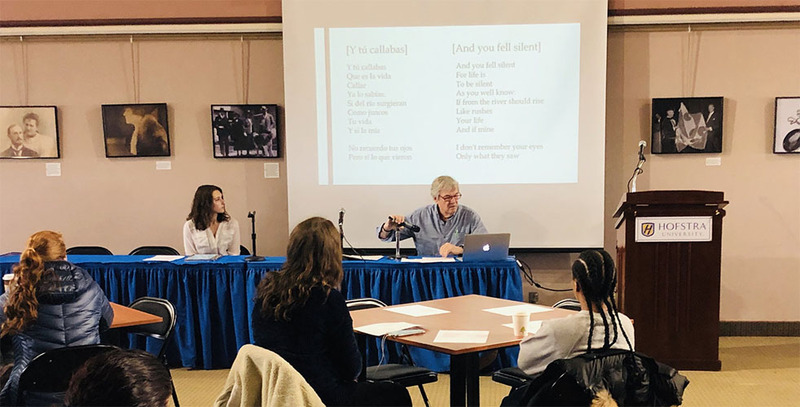 A daylong writing and literature symposium featuring celebrated authors from the US, Argentina, Chile, Cuba, Mexico, Puerto Rico, Spain, and Venezuela celebrated the launch of Hofstra’s MFA in Creative Writing in Spanish. Newsday reported on the event, interviewing program director Miguel-Angel Zapata and professor Álvaro Enrigue. Hofstra’s MFA in Creative Writing in Spanish is the first of its kind on Long Island and the second in the New York metropolitan area. It reflects an emerging trend among creative writing programs across the country to offer Spanish-based curriculums that reflect the nation’s changing demographics.